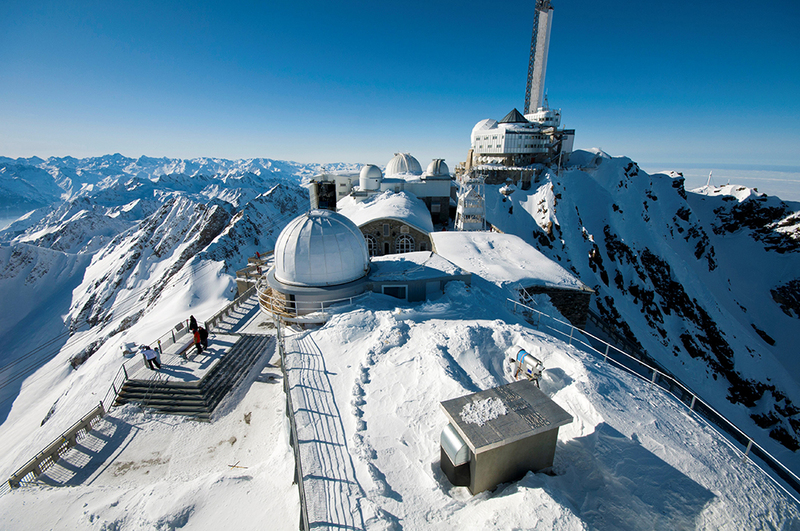 All astronomy lovers will enjoy the very special post tour : a trip to the Pic du Midi Observatory, 2870m high in the Pyrenees. The Pic du Midi, built at the end of the XIXth century, is a famous site renowned for the clarity of its sky, and where images of the Moon were taken to help NASA in the choice of Apollo landing sites. Nowadays, observations and measurements are carried by the staff of “Observatoire Midi-Pyrenées” in the fields of atmospheric measurements, solar activities (coronagraph and telescopes), and in astrophysics (1 and 2 m. diameter telescopes) especially solar magnetism and study of planet’s atmosphere. A special visit will be offered where scientists carrying out observations will present their instruments, their work, but also will share with us the little stories about life up there now, and in the past. No need to hike or climb to reach Pic du Midi, a cable car will bring us to the Peak, also hosting a museum and… a newly opened Planetarium! During the mid-tour, a visit to the Jolimont Observatory will be offered, giving the attendees the chance to travel back in time and immerse themselves in one of the best kept secret places of Toulouse. This observatory, the oldest in France after Paris, was built in 1846, and is now located at the heart of Toulouse while maintaining its XIXth century spirit. Among the garden, the cupulas are still there, housing observation instruments restored and maintained with care and passion by amateur astronomers. A tailor made visit will be organized for the IPS2018 attendees, where you will learn about one of the first international cooperative projects in astronomy and the “ladies of the map” but, don’t worry, no topper hat will be required! Aeronautics is totally embedded in the culture and the history of the city since the times of “Aeropostale”, when pilots like Antoine de Saint Exupery (the author of “The Little Prince”) were risking their lives to transport air mail up to South America. Nowadays, even little children in our city can spot “Belugas” in the sky, the large cargo freighters. One of the must-sees in Toulouse is the Airbus A380 assembly chain, where numerous A380 are simultaneously assembled in the flagship Airbus Factory. The A380, the biggest plane dedicated to civilian transport, looks even more massive here than on a tarmac, and during your visit you will discover everything about them. 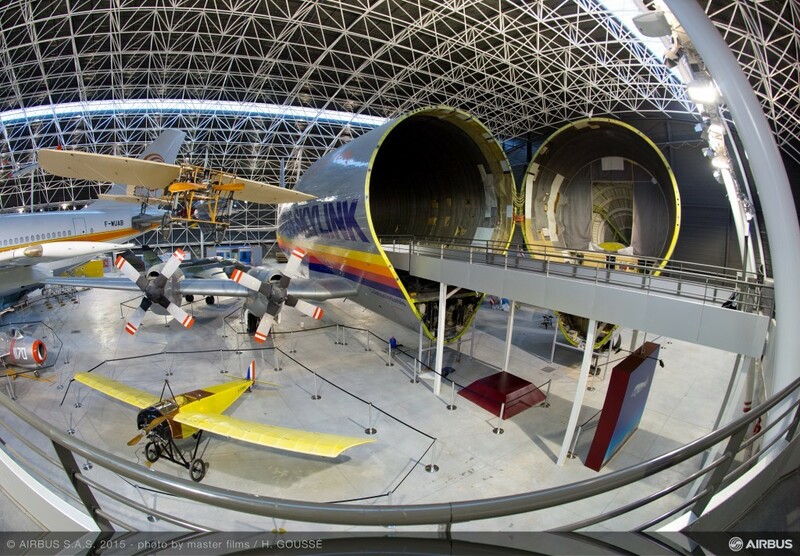 This tour will be completed by a tour of the newly opened (2015) aeronautical museum, Aeroscopia, where you will be able to discover and even enter in some mythical aircrafts like Concorde, A300 or Supper Guppy. Discover Europe’s biggest medieval citadel, and one of the world’s finest, well-preserved fortified cities! Discover the most "Italian-looking" city in the Tarn area, with its ancient city centre reminiscent of Tuscany!